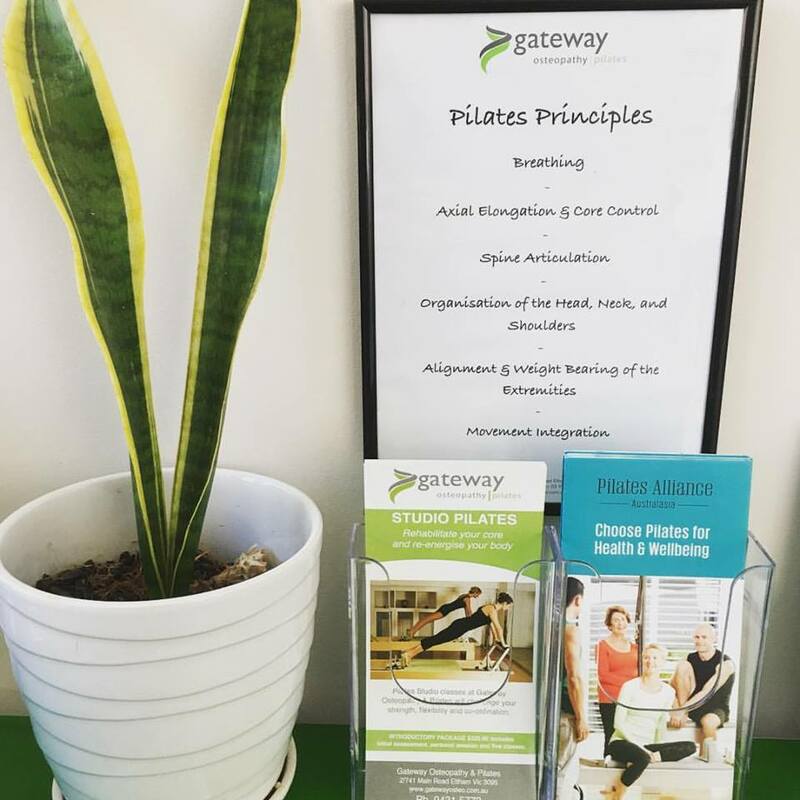 Gateway Osteopathy & Pilates provides a calm, relaxing and professional environment in which you may seek assistance and advice with musculoskeletal injuries and other general health concerns. Our team is committed to helping people with their health as best we can. Our clinic is located in the picturesque Eltham, and our Pilates Studio has stunning views of Eltham. It may just be the place you need to escape the pressures of your daily life, and enhance your health and wellbeing. Gateway Osteopathy & Pilates provides professional clinical rooms and clinical support services to Osteopaths and a range of other health care professionals. Osteopaths that consult from our venue have typically completed the minimum of 5 years university training to become an Osteopath and are members of Osteopathy Australia. All the practitioners that work from Gateway Osteopathy & Pilates are committed to ongoing continued professional development (CPD).